Who Does PCI DSS Compliance Affect? The Payment Card Industry Security Standards (PCI) and Data Security Standards (DSS) or PCI-DSS are security and data protection compliance rules developed, maintained and managed by the PCI Security Standards Council, an international forum comprised of leading credit card institutions. PCI-DSS standards protect consumers, financial and credit card institutions by standardizing the secure treatment of cardholder data from the moment that credit card information is entered into a payment system; through payment authorization, processing and bank settlement. Businesses tasked with protecting cardholder information are responsible for following and meeting the protection standards set forth by PCI-DSS with their hardware, applications, systems and solutions. These organizations include merchants, payment processors, financial institutions, or any group storing, processing, and transmitting consumer credit card data. The risks are high for companies or organizations handling such data that choose not to adhere to PCI-DSS, with costs being exorbitantly high if a consumer data breach affects their systems or infrastructure. Associated breach costs can take a toll on a company’s financials with large banking fines and retribution packages, as well as harm to business and brand reputation. PCI-DSS standards are strictly enforced and investigated collaboratively by a range of law enforcement agencies and the affected Credit Card associations. Phoenix NAP Colocation offers a fast and reliable global network to keep buyers connected. We offer merchants and e-commerce hosting companies a sound and redundant foundation to help protect their customers’ end-to-end purchase experience, without costly data or reputation loss. Why Does It Matter To be PCI Compliant? Phoenix NAP offers a solid platform for you to build your PCI-DSS compliant solution. Whether taking payments, processing payments or hosting clients who do, we can enable your efforts with the highest level of physical, network and technical security. With a strong up-time record and around the clock network and support personnel, we can ensure uninterrupted and reliable service 24/7/365. 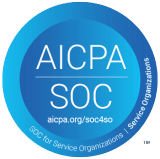 As a PCI-DSS v. 3.1 validated service provider, we maintain compliance for our Infrastructure as a Service (IaaS) solutions. In addition, each of our US and EU locations are also SOC 1 and SOC 2 audited, offering the highest level of protection and a global footprint to back up and connect your critical data across multiple regions. PhoenixNAP offers a PCI DSS compliant foundation that supports flexible and innovative solutions while meeting a wide range of security and business needs. Built with robust and valuable technologies, including VMware® to drive the reliability of your import/export instances, as well as hosted replication software, to automate backups and offer faster restoration of your data. 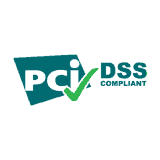 Although phoenixNAP is a PCI-DSS compliant service provider, this does not automatically assure that your customers are PCI compliant. We do recommend clients check with their Qualified Security Assessor (QSA) to clarify any PCI obligations and confirm what steps they need to take to achieve and maintain compliance. You may also read our blog post, PCI Compliance Checklist.